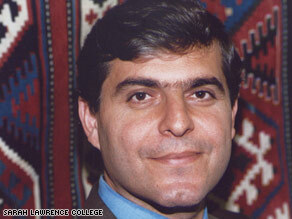 Poll says Muslims approve of Obama more than they do the U.S.
Editor's note: Fawaz A. Gerges holds the Christian A. Johnson Chair in Middle Eastern Studies and International Affairs at Sarah Lawrence College. His most recent book is "Journey of the Jihadist: Inside Muslim Militancy." Fawaz Gerges says release of detainee photos would signal that U.S. is "reclaiming its high moral compass." (CNN) -- Justifying his dramatic reversal of the decision to release photos showing abuse of detainees by U.S. soldiers in Iraq and Afghanistan, President Obama argued publication would "further inflame anti-American opinion and put our troops in greater danger." "That's all it took for me," Gates said. iReport.com: Did Obama do the right thing?